A poor woodcutter and his wife had two children named Hansel and Gretel. Their mother died when they were young. Hansel and Gretel were very sad. Soon their father remarried but their stepmother was very cruel. One day, she took the children deep into the forest and left them there. Clever Hansel had some breadcrumbs in his pocket and had dropped them on the way so that they could find their way back home. Alas! The birds ate all the crumbs and they couldn’t find the path that led back home. Gretel in delight and both ate it hungrily. Now, a wicked witch lived there. 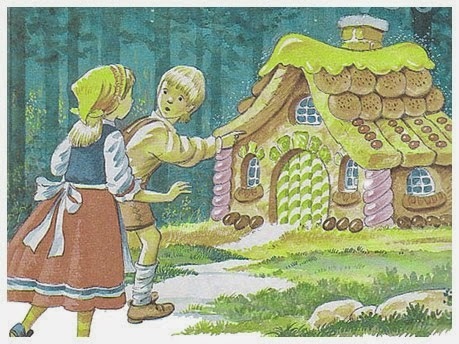 When she saw Hansel and Gretel, she wanted to eat them. She grabbed the chil­dren and locked them in a cage. The witch decided to make a soup out of Hansel and eat him first. She began boiling a huge pot of water for the soup. Just then, Gretel crept out of her cage. She gave the wicked witch a mighty push from behind and the witch fell into the boiling water. She howled in pain and died instantly. Hansel and Gretel found treasure lying around the cottage. They carried it home with them. Their stepmother had died and their father wel­comed them back with tears of joy. They never went hungry again!